Are you looking for this Data Retention Policy and a Personal Data Retention Schedule to become compliant with the new GDPR Directive? 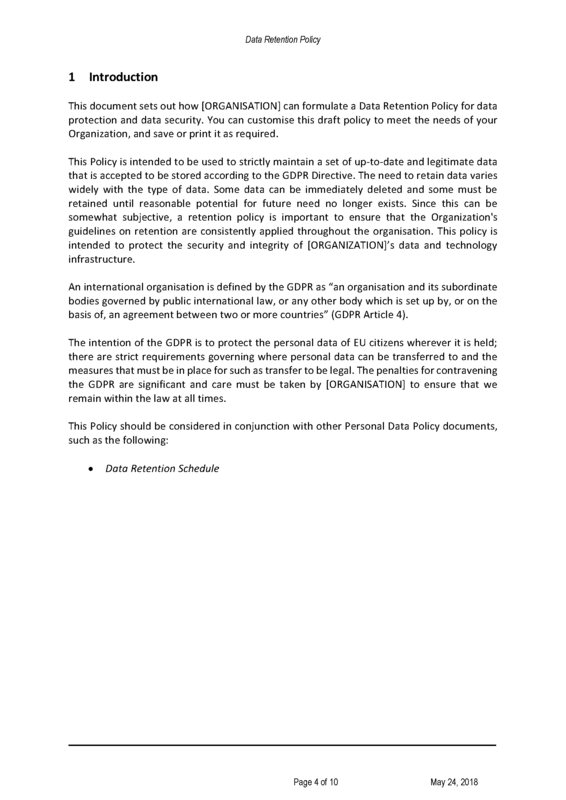 This Policy is intended to be used to strictly maintain a set of up-to-date and legitimate data that is accepted to be stored according to the GDPR Directive. The need to retain data varies widely with the type of data. Some data can be immediately deleted and some must be retained until the reasonable potential for future need no longer exists. Since this can be somewhat subjective, a retention policy is important to ensure that the Organization's guidelines on retention are consistently applied throughout the organization. This policy is intended to protect the security and integrity of your organizations data and technology infrastructure.